House hacking. You’ve heard about it, and people in the ChooseFI community gush over how awesome it is. So, what the heck is house hacking and how can you do it? 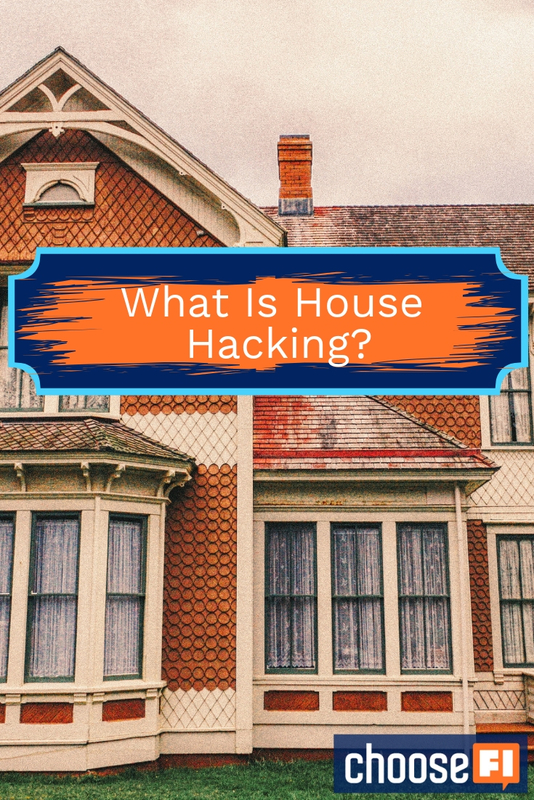 So, What Is House Hacking? House hacking is a term used by both real estate investors and the Choose FI community pretty regularly. Traditionally, house hacking refers to buying a multi-unit home (as opposed to a single family home) and living on-site. Ideally, your tenants pay enough in rent to cover the mortgage, and you live there for free. House hacking has also expanded beyond the traditional “multi-unit” definition to encompass any creative ways you can get your housing cost reduced or even down to zero by renting out a spare room with a long-term tenant or using Airbnb to bring in cash to cover your living expenses. For some, that means they’ve converted a garage in a hot urban area into a rentable unit, and for others, they find that an airstream trailer they previously let sit in the yard can be monetized for cost-conscious travelers on Airbnb. Spend any time on Airbnb Full Disclosure: We earn a commission if you click this link and make a purchase, at no additional cost to you. and you can see a plethora of people being creative to utilize their space, and luckily–that’s part of the allure! Get started house hacking with Airbnb here. Full Disclosure: We earn a commission if you click this link and make a purchase, at no additional cost to you. The final way you could house hack is to find creative ways to significantly reduce or eliminate your rent. Sometimes referred to “Rent Hacking,” many people have found unique ways to do this. Live with an elderly person and agree to take care of some the house chores and shopping trips. Take care of the property management and maintenance of your landlord's other rental properties if he or she owns several rentals (I personally know someone who has gotten free rent for years with this method). Offer to your landlord to list one of the additional bedrooms in your house on Airbnb and manage the listing for them (they may even pay you a little for this one!). Agree to be the nanny for the landlord's children in exchange for reduced rent. Find homes that have on-property RV's that you could rent really cheap. Rent hacking can be a great way to minimize your housing expense while you save money for your first home. And below we explain why you should really consider house hacking that first home purchase. House hacking can be done without having to make sacrifices on other categories you spend on. Housing, for most people, is the biggest monthly expense. If you focus on housing costs, you save a bunch. If you are spending a lot on housing, every single month it can take the wind from your sails, despite your efforts made in other categories. On average, housing accounts for around 33% of your budget, and in some urban areas, it can ratchet up to over 50% of your take-home pay. That’s a lot of coin! If you’re like most people, your home is a place to sleep and store your stuff. 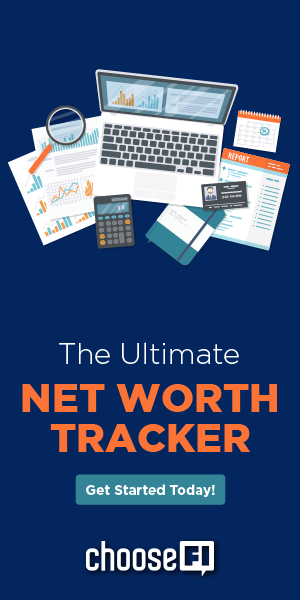 If it comes with a hefty price tag, it can really put a dent in your ability to reach FI. Some of us don’t have much choice (at least at this chapter in our lives) in where we live, but we can evaluate creative ways to get costs down and sock away cash. While you can totally try to stop grabbing beers during happy hour with coworkers or cancel your Netflix, your biggest gains can be made from finding ways to hack away your housing costs. If you’re in the market for a house, consider buying a multi-family home. If you’re decent at home repairs or aren’t afraid to whip out YouTube and make some basic improvements and regular maintenance, all the better. If you purchased a duplex, and your mortgage was $1,200, can you rent out the other side for at least $1200? This is the ultimate form of house hacking. Screen your tenants carefully and calculate what you’d need to break even on your mortgage by factoring in other costs. Even if you can't get your housing costs all the way zero it might still be of interest. In the example just given, $1,200 in rental income wouldn't actually be enough to get you to cash-flow positive because there are other expenses that need to be accounted for. To discover your break-even point, do your best to estimate these various expenses and add them to your mortgage cost. Below, is a list of costs that you need to consider. Many of these expenses will apply to every house hack, while others will depend on your specific situation. Now, let's pretend that your mortgage on the property is $1,000. Adding $1,000 and $390 together gives you a break-even point of $1,390. In this situation, you would need to ask yourself if you could expect to get around $1,400 in rent for the portion of your home that you will be renting out. If the answer is no, then you either need to find a better deal on a multi-family home to lower your mortgage or be ok with still having to pay a little money towards your housing each month. If you've always hoped to someday get involved in real estate investing, house hacking could be a great first step you. House hacking offers many of the same benefits of traditional rental properties, while actually offering some additional perks. For real estate beginners, here are three reasons you should consider starting out with house hacking. In the lending industry, there is a belief that owner-occupied homes are safer bets because homeowners are more likely to take good care of a home than a tenant. For these reasons, investment properties are viewed as higher risks and come with higher mortgage interest rates. But when you house hack, you can get access to the lowest owner-occupied interest rates on the market! Mortgage insurance doesn't cover rental properties so in order to secure the financing you have to put down at least 20%. But with owner-occupied homes, you could secure an FHA, HomeReady, and HomePossible, or Conventional loan for as low as 3% down. The bank will take some of the rent into account as income but not all of it. Here's an article from Bankrate that explains the ins and outs of financing a multi-family property. Living in the property means you will be a hands-on landlord. You'll be able to keep a close eye on things and make repairs and corrections quickly if something goes awry. You'll see your tenants often, and they will see you. It's much more difficult to care for a house from a distance. Also, if you are house hacking as a way to reach FI you likely are banking the money you would have normally paid to a mortgage. If you lose your tenant you can easily cover the mortgage for a bit while your space is vacant. Obviously, you'll want to minimize this time, but you won't be at risk of losing your investment. You'll just have extra costs for a month or two. So, let’s just say you already own your home and it’s a single-family home–don’t despair! You can still benefit from house hacking or at least another form of it. If you have a spare room, a basement, a pool room or some sort of space that can be utilized for someone to rent- you too can house hack. Plenty of FI’ers have rented out a portion of their primary residence with some shared spaces (like a kitchen or bathroom) to lower or eliminate their housing costs. Where can you find potential tenants? Many people put out ads on classified sites like Craigslist or you could use a service like Roommates.com or EasyRoommate. College students are usually crazy busy, so their actual “in-home” time is typically pretty low. There's a natural “ending point” at the conclusion of each semester where you could put a kibosh on things if you're unhappy with your college student tenant for any reason. My brother and sister-in-law rent starting renting out a room in their home to a college student last semester, and it has given them a lot more breathing room in their monthly budget. Where do you find college students that are looking for a room? You could call up your local college's housing office, or you could list your room on sites like CampusScribz or StudentRent. Another way you could house hack a single-family home is to list one of your rooms on short-term rental sites like Airbnb Full Disclosure: We earn a commission if you click this link and make a purchase, at no additional cost to you. .
Kristine Nicole of Frugally Reckless owns a four-bedroom home in St. Petersberg Florida, and her home brings in over $35,000 a year with Airbnb, covering her housing costs. Shannyn also house hacks through Airbnb with her single-family home near downtown San Antonio. While she's not completely at $0 housing costs, with a boyfriend and Airbnb guests, she has her $1,788 monthly mortgage payment covered to all but $588 a month. Nobody likes to excitedly jump into something new and subsequently get blindsided with a bunch of “gotchas.” To help ensure that your house hacking venture turns out to be a positive experience for you, keep these tips in mind. Before buying any home, you need to make sure credit is in order. If there are any errors on your report, get them taken care before filling out any loan applications. 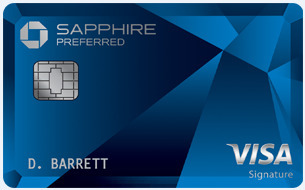 Also, don't apply for credit cards or any other form of credit within at least six months of applying for a mortgage. Some lenders charge higher interest rates for multi-family homes. When you talk to lenders let them know you plan to live on the property and see if you can convince them to give you an owner-occupied rate. When looking at properties, take time to assess any upcoming upgrades or repairs the property would need, along with average rents for the area to figure out if the purchase would be hack-friendly. The annual repair costs of a multi-family will likely be double (if not more) of a single-family home. For this reason, I recommend having a larger amount put in savings before buying a multi-family property. Do your research ahead of time to ensure you find the right renter. Writing up a thorough listing of your home is essential to weeding out bad matches, and vetting is critical. If you’re buying a condo or any property with an association, be sure to read through the contract to see if sharing your single-family home is allowed. Take full advantage of split floor plans so that you each have your own space. For example, in my brother and sister-in-law's case, they felt most comfortable moving into one of the bedrooms in the same hallway as their young children and letting their student tenant take the master bedroom on the far side of the house. Do your research to see if your city has any ordinances about services like Airbnb, or if some may be coming. Read through other listings on Airbnb to see how other people pitch their space. It’s the easiest way to ensure your listing is well thought through. Stay on top of your calendar. Block off dates that you don't want the room available, like when you know your family is going to be coming down to visit. Buy extra sheets and towels. That way you can quickly get clean sheets on the bed and clean towels in the bathroom. You can wash the dirty ones later when you have the time. Buy an electronic lock or key box so guests can let themselves in and out. You want to be able to live your own life without worrying that you won't be home when guests arrive for check-in. For more exposure, you could list your room on multiple short-term rental sites, like HomeAway Full Disclosure: We earn a commission if you click this link and make a purchase, at no additional cost to you. , VRBO Full Disclosure: We earn a commission if you click this link and make a purchase, at no additional cost to you. , FlipKey Full Disclosure: We earn a commission if you click this link and make a purchase, at no additional cost to you. , etc. If you do this, just make sure that you sync the calendars together so you don't get double bookings! House hacking is one lever of FI that is relatively easy to implement, but it does take some thought into what “normal” living looks like for you. If you’re willing to adjust to a new normal–like flipping rooms on Airbnb a few days a week or having a med student rent out your basement, you can easily take advantage of decreasing one of your biggest recurring expenses!